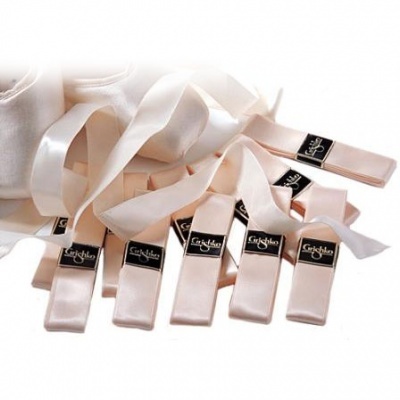 European pink ribbon that perfectly matches standard Grishko pointe shoes. Length of 2.5 Yards. Width - 7/8"
1. Does this ribbon have elastic in it? The Grishko Ribbon is not a stretch ribbon and does not have elastic. If you’re looking for a stretch ribbon please use our search tool above for "Stretch Ribbon".